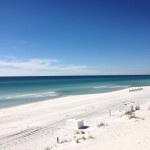 Want to Buy 30a Gulf Front Lots for sale? Opportunities to purchase a Gulf Front lot on 30a continue to dwindle. The Gulf Front market is as hot as ever so the time to buy is now. The Gulf Front market was quiet for several years with many distressed sales but not any more. Gulf Front homes and land sales have sky rocketed back and are in high demand. There are very few opportunities to find anything under $2 million dollars so we have put together a list of some great Gulf Front lots for sale.